Aw – who cares about nice things when you have a face like that to love! I love a Dobie with natural ears. 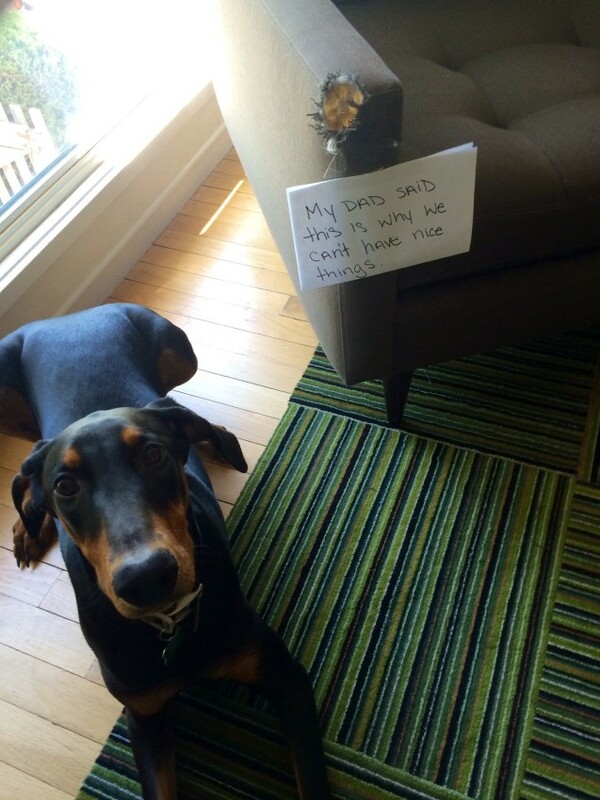 You’re so lucky to have a dobe! Don’t worry – they’re eager to please and easy to train! Love-a-dobe!